We are all one and the same. This is the experience of Zen. So teaches Shodo Harada Roshi in this series of poetic calligraphies (accompanied by English translations) and commentaries, excerpted from Moon by the Window. 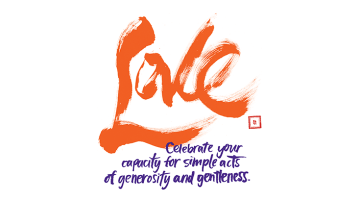 Text and calligraphies by Shodo Harada Roshi. In Zen we look at the self and the world as one and the same, a united whole. Do flowers exist because we see them, or do we see flowers because they exist? Even though we try, we cannot divide the subjective from the objective. When the subject and the object become one and the same, this is the experience of realization. When we move in oneness with the heavens and the earth, this is the experience of Zen. We see the flowers and the mountains, we hear the bell ringing, and we know it all as ourself. The river is ourself, and so is the other. We see that from the origin we are all one and the same. This experience is Zen. The moon in the deep spring is so beautiful that we are pulled right into it, and that moon itself is in a vessel that becomes the moon’s very purity and clarity. The moon is me, and I am the moon. We enjoy this world completely. In spring, the ice melts and the severe chill of winter loosens its grip. In the warm sunlight, blossoms appear—plum, peach, apricot, and many others. Everywhere, signs of spring are evident. The insects start to fly, seeking the sweetness of the flowers, and the birds sing. Everything that has endured the hard winter all at once expresses the great joy of this season. This is the Way of Great Nature, the “sutra” that embraces all and through which we receive everything. Yet each of us carries a multitude of memories and knowledge, dualistic perceptions and strivings that influence our outward perception and distort our view of Nature. We can describe and attempt to explain this Great Nature, but to receive it directly and without hindrances is difficult. When we let go of extraneous thoughts and see each thing exactly as is, with no stain of mental understanding and dualism, everything we see is true and new and beautiful. For those who have awakened to this Truth, whatever they encounter is the buddhadharma, just as it is. No matter what is encountered, there is nothing that is not the Truth. When we look at something and don’t recognize it as the Truth, that is not the fault of the thing we are seeing; it is because our vision is obscured by explanations and discursive thoughts. 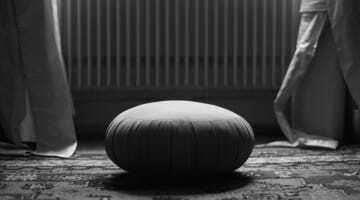 Doing zazen, we let go of all extra thinking and perceive with a simple, direct awareness. There is no longer any separation between the person who is seeing and what is being seen. No explanations or ideas about what is being seen are necessary. Not holding on to any preconceived idea, we match perfectly with what we see, and there the Truth and the world are brought forth spontaneously. If we have no subjective opinions or preconceived notions, no small-minded “I” remains. There is only oneness. Anything we see and hear is Truth. There is nothing that is not the Buddha. From the origin we have a mind like a clear mirror. To know this mind directly and completely is satori. That empty mirror gives rise to many associations as it encounters the outside world. When we become that emptiness completely, the world is born forth, clear and empty. Then, whatever we encounter, we become it completely and directly. This is the subtle flavor of zazen and is the mind of Buddha and of God. When we see things from this mind, we see that the southern branch of the tree is longer than the northern branch, although the same warmth of spring touches both. Long is not absolute, and short is not lacking in anything. We need to see everything in society in that way as well. When we are with an elderly person we become that elderly person and can say, “Yes, it must be so lonely, so hard.” When a child comes, we are able naturally to sing and play with the child in the child’s way. We see a pine and become a pine; we see a flower and become a flower. This is our simple, plain, natural mind. From there we have the purest way of seeing, and this is where the buddhadharma lives. Chosha responded, “I went to the mountain to play a little. The cherry and the peach flowers were so beautiful, and while I was looking at them they pulled me right into the deep mountains, and then the clover and the dandelions were blooming and the butterflies were dancing, and while looking at them, I arrived home again.” He was saying that the meaning of life is found in the encounters of each and every moment. Although we need to have goals, if we aren’t acting playfully within each and every second of realizing our goals—if we think, while in the midst of living and struggling, that we have to wait until later to play— then we aren’t realizing the true value of life. People who work from Monday to Friday often think they have to wait until the weekend to be happy. After five days of suffering through our work, we try to make up for that with two days of being happy—what kind of life is this? The samadhi of the Buddha isn’t about waiting for the future but about finding joy no matter where we are, no matter how difficult or miserable our circumstances. It is about living wholly and totally in each instant. Our lives cannot be lived in a vague way. We have to keep our sight on each footstep and live fully and thoroughly in each second. Life isn’t about enduring pain every day and looking forward to something else that will come along later and far away. When each and every moment is true, when our goal is to have a deep worth, to be complete, then in each and every moment we will find deep wonder and amazement and joy, and the value of life will be clear. We must hold this kind of life precious. In life we have dreams, we have hopes, we have ideals. But what does it mean to have a dream? Everything in this world is in flux. No matter how real we may think things are, everything passes. We all think our life is special, but no matter how happy we are or how much we achieve, we all die. We live in a dream, in delusion. We can see the beautiful flowers and hear the birds’ lovely songs, but we don’t see what is alive inside that experience. We see a superficial layer of the world and acknowledge that as important. We don’t see that it’s all transient, a dream of a dream. Instead of realizing that we are living a dream, we take the superficial to be real and permanent. But in Buddhism we recognize it all as a dream and awaken to what is real. It is not bad to have a dream. Because we dream, we can achieve things. But have humans become any better for all the things that have been discovered and created? Have our values improved? Is the world any more at peace? We chase dreams, but we forget to realize ourselves. We have to see the reality and value of who is alive right here and now. When we awaken to the splendid value of each person, we no longer need to depend on dreams and hopes and ideals. Instead, we can depend on our own life right at our very own feet. This line is from Setcho’s poem to the seventh case of the Blue Cliff Record, “Echo Asks about Buddha.” In March, when the peach flowers begin blooming, the carp gather at the bottom of the three falls on the Yellow River known as the Dragon Gate. Legend says that those that are able to jump to the top of the falls become dragons. After training hard for six years and setting everything aside to actualize life energy directly, the Buddha saw the morning star and knew himself as that very star, with no separation between inside and outside. If we, with all of our delusions and flawed ways, can completely pass back up that waterfall, our habits of thinking and presuming are swept away, and we become a dragon that can fly through the sky. Losing obstructions, we gain our freedom. To pierce through conceptual thinking and mental baggage, we clarify our being with the same effort and determination used by the carp to ascend the falls. When we put everything on the line, we know the state of mind of the Buddha. Some people can’t understand why it is essential to follow all the way through to the end. Those who have done so don’t look different on the outside; what changes is how they function and live. Saying that we’re going to die anyway, that awakening won’t change whether we get hungry or stop world crises, is to deny that truth. People who can’t see the value of refining their state of mind will forever be at the mercy of their body and its needs, tossed by emotions and thoughts. Each person who awakens can enable and guide others to awaken as well, just as the Buddha’s enlightenment still influences the enlightenment of others today. But while the Buddha’s awakening has been kept alive for 2,500 years, if no one continues this work, there won’t be anyone left to tell future generations about it. No matter how many words and records are left behind, those who have not realized buddhanature directly won’t be able to touch its deep truth. Because of this, the awakening of each person is essential. 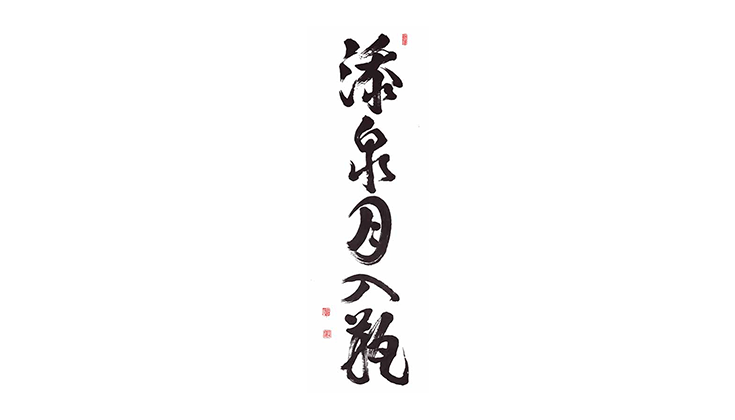 From Moon by the Window: The Calligraphy and Zen Insights of Shodo Harada, published by Wisdom Publications, 2011. 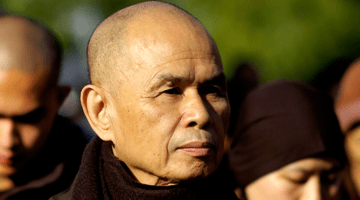 Shodo Harada Roshi is the abbot of Sogenji Zen Monastery in Okayama, Japan, and the founder of Tahoma Zen Monastery on Whidbey Island in Washington State, which he visits yearly to lead retreats. He is a dharma heir of Yamada Mumon Roshi (1900–1988), a Zen master in the Rinzai tradition.